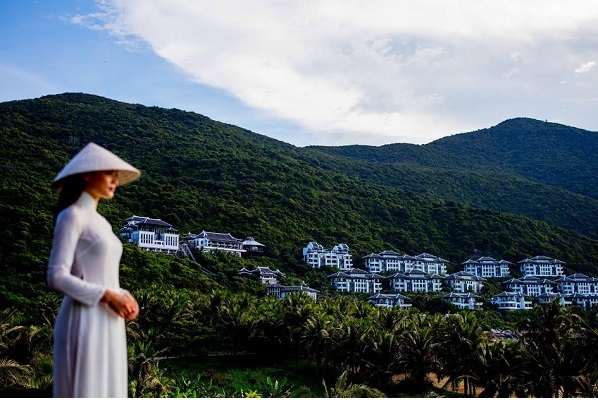 InterContinental Danang Sun Peninsula Resort in Vietnam has been recognised as the World’s Leading Green Resort by voters at the World Travel Awards. Hidden in the myth-filled hills of Monkey Mountain in the heart of the Son Tra Peninsula nature reserve, the luxury property is a work of art as much as a resort. Set in 37 hectares of stepped gardens leading down to a private beach, dramatic views of the sea can be enjoyed from all 201 rooms, while every inch of this resort is the stunning creation of star architect Bill Bensley and, as a result, is unique in design and concept. On a night of high drama at the Pátio da Galé in the Portuguese capital of Lisbon, the hotel was also honoured with trophies for World’s Leading Luxury MICE Resort, World’s Leading Luxury Wedding Resort and World’s Leading Resort Architecture Design. Speaking at the World Travel Awards Grand Final in Lisbon, founder Graham Cooke said: “In recent years, the luxury traveller has come to demand a high-standard of sustainability when visiting a resort – an area in which InterContinental Danang Sun Peninsula Resort excels. “From the design of the location, through to its execution, InterContinental Danang Sun Peninsula Resort exists in harmony with its surroundings, and it was an honour for us to recognise the property as the World’s Leading Green Hotel in 2018. InterContinental Danang Sun Peninsula Resort is a one-of-a-kind hideaway surrounded by un-spoilt nature, exotic wildlife and rich biodiversity. Other than the unique flora (several plant species were only discovered as recently as 2016), guests can encounter the critically endangered Red Shanked douc langur (Pygathrix nemaeus) or the Sunda pangolin Manis javanica (the most heavily trafficked mammal in the world) on the peninsula. Listed by the International Union for the Conservation of Nature in the Red List of Threatened Species, only around 1,300 of the critically endangered Red Shanked douc langurs inhabit the nature reserve. Gourmet travellers will appreciate La Maison 1888, led by world-renowned Michelin-starred Chef Pierre Gagnaire, while those looking for a genuine wellness retreat will love the HARNN Heritage Spa set in a private lagoon. Travellers can treat tired feet to the ultimate pedicure by podiatrist to the stars, Bastien Gonzalez, as global leaders put the world to rights at The Summit, the resort’s impressive conference centre. For the adventurous, it is an easy drive from InterContinental Danang Sun Peninsula Resort to UNESCO world heritage sites of Hoi An, Hue and My Son, making it a perfect base for travellers seeking an experience that connects them to central Vietnam. To further develop its impeccable eco-credentials, InterContinental Danang Sun Peninsula Resort recently appointed a resident zoologist. With his profound expertise in ecotourism and conservation biology, James Morrison will help protect the natural environment and genetic diversity by educating residents and guests about the wildlife and natural habitats in the resort, as well as conserving ecosystems on the peninsula to ensure that critically endangered species can be treasured by future generations. Morrison’s first experience in conservation was gained in 2011 working with an anti-poaching detail in Kruger National Park, South Africa. He moved to Vietnam in 2014 to lecture English and environmental studies at the National University of Water Resources in Hanoi. After travelling through national parks in Myanmar, Bangladesh and Nepal he returned to Vietnam to take up the role of head keeper Pu Mat National Park for Save Vietnam’s Wildlife. “There are only a few places in Vietnam that own rich biodiversity like the Son Tra Peninsula,” Morrison said. “That’s why it’s critical to continuously educate and communicate about the protection of ecosystems, and especially, the conservation of critically endangered Red shanked douc langurs. “My main responsibilities are to research, consult and share my knowledge about the resort’s wildlife and surrounding ecosystems, and how we can minimise impacts to the natural environment by embracing responsible business practices. Wedged between ocean and jungles, the InterContinental Danang Sun Peninsula Resort is the ideal destination for nature lovers to indulge in pristine beaches, picturesque landscapes and primeval forests. Inside the InterContinental Danang Sun Peninsular Resort, guests can discover several Red Shanked douc families searching for young leaves in the canopy. 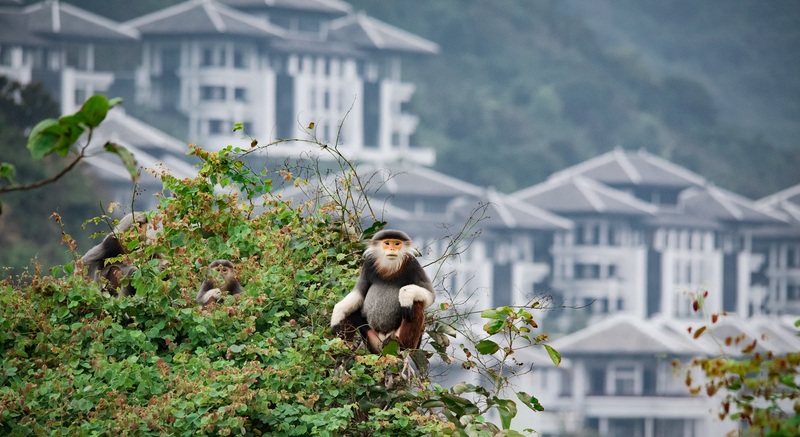 Foraging below, troops of Rhesus macaques survey the hillside. Pallas’ squirrels jump from tree to tree and a chorus of songbirds can be heard. Recently Champagne Taittinger Brut Réserve was also selected to become the official Champagne of Club InterContinental. As part of the collaboration, a customised label featuring InterContinental Danang Sun Peninsula Resort’s logo has been produced for the bottles, which will be available at the resort. As a hallmark of the InterContinental Life, Club InterContinental at InterContinental Danang Sun Peninsula Resort offers an elevated level of hospitality defined by a distinguished collection of luxurious rooms, suites and villas, impeccable personalised service, and first-rate facilities. The Club InterContinental experience revolves around the exclusive Club Lounge, which is a haven of gracious hospitality. Acclaimed as one of the prestigious champagne brands in the world, Champagne Taittinger was founded in Reims in 1734 by Jacques Fourneaux and is one of the few remaining family owned and operated champagne houses. Champagne Taittinger is renowned for its immense 288ha vineyard and the idiosyncratic characters influenced by the predominance of Chardonnay to intensify finesse and elegance. “We are thrilled to launch this exclusive partnership with Taittinger Champagne House. “We have an absolute passion in creating a unique experience for each of our guests at Club InterContinental where every detail is thoughtfully crafted with luxury touches. “Having Champagne Taittinger Brut Réserve served as signature champagne at Club InterContinental will definitely enhance the bespoke experience and bring pleasant surprises for our esteemed guests,” said Juan Losada, general manager, InterContinental Danang Sun Peninsula Resort. 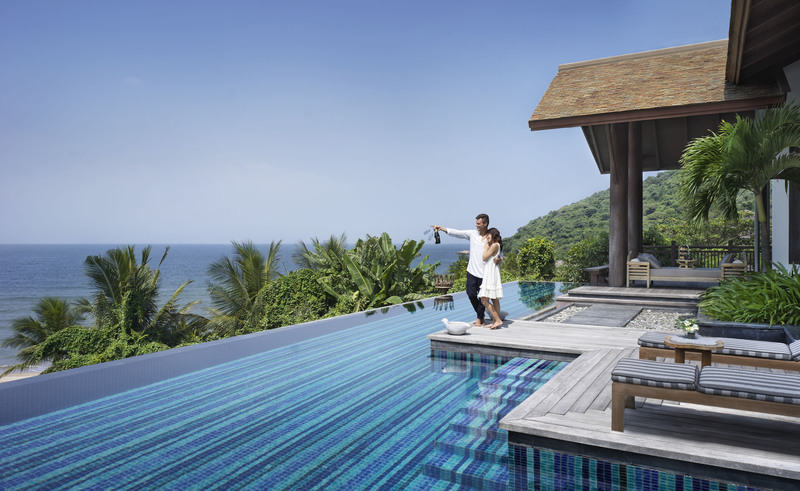 InterContinental Danang Sun Peninsula Resort enjoys the luxury of one of the region’s most exquisite locations. Situated on a private bay of the Son Tra peninsula, the hotel cascades down the rocky jungle slope of the mythical Monkey Mountain. Guests can reach the resort via a short, but spectacular, 20-minute drive along a corniche road from Danang International Airport.